Nominations for the 2016 IFP Gotham Awards were announced Thursday, a bellwether for indie films with Oscar accolade potential. 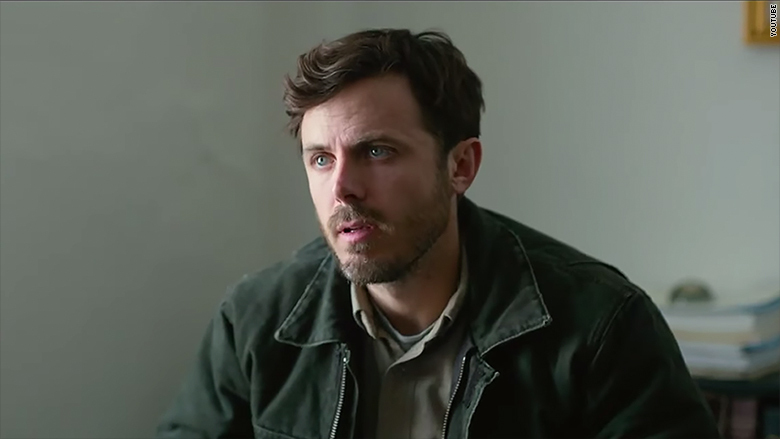 "Manchester By The Sea" leads the field with four nominations: Best Feature, Best Actor for Casey Affleck, Breakthrough Actor and Best Screenplay. Barry Jenkins' "Moonlight," starring Trevante Rhodes, earned three nominations. The film's cast will also be awarded a special Gotham Jury Award. The Gotham Awards will be presented November 28 in New York City -- just two weeks ahead of nomination announcements for the Golden Globe and Screen Actors Guild Awards. Gotham's TV nominees included "Jessica Jones," "Crazy Ex-Girlfriend," "Master of None," and "The Girlfriend Experience." Hollywood veterans Amy Adams, Ethan Hawke, Arnon Milchan and Oliver Stone will be awarded with Gotham tributes. Craig Robinson -- "Morris from America"
Kate Beckinsale -- "Love & Friendship"
Annette Bening -- "20th Century Women"
Robert Eggers -- "The Witch"
Anna Rose Holmer -- "The Fits"
Daniel Kwan and Daniel Scheinert -- "Swiss Army Man"
Trey Edward Shults -- "Krisha"
Richard Tanne -- "Southside with You"
Lily Gladstone -- "Certain Women"
Lucas Hedges -- "Manchester by the Sea"
Royalty Hightower -- "The Fits"
Anya Taylor-Joy -- "The Witch"